Type: BOOKS. Detail: Cherniaev & Meynell. Product Code: 1843821680. 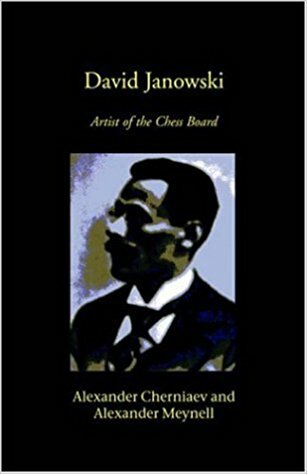 David Janowski was one of the grandest of grandmasters at the cusp of the 19th and 20th centuries. Victories in individual games against Steinitz, Lasker, Capablanca and Alekhine, a phenomenal run of successes in major tournaments and a universally acknowledged elegance of style, combined to make him one of the most feared and respected exponents of the game. Janowski, however, has not been rewarded in English language chess literature with the accolades he deserves. In this book, the first collection in English of his best games and results, the authors introduce us to a great fighter and a great artist, knowledge of whose games will enrich the experience of any chess aficionado. Alexander Cherniaev is a Russian Grandmaster, journalist and author, now after the collapse of the USSR based in Guildford, England. He has been a silver medallist in the Moscow championship and is a well known figure in the Four Nations Chess League. He has also scored fine results in tournaments at St Petersburg, Wijk aan Zee, Davos and Hastings where he has come second in the challengers and competed in the premier. Alexander Meynell is the grandson of Lord Killearn, top board player in his day for the House of Lords chess team. Continuing the family tradition for excellence at chess, Alexander Meynell is official coach of the Hammersmith Chess Club, maintains one of Britain's most extensive chess libraries and has won First Prize in the Major Tournament at Hastings. Softback, 148 pages. Published by Hardinge Simpole. Champions of the New Millennium. Ftacnik et. $49.95. Antoaneta Stefanova. Georgiev &. $9.95.